This page is dedicated to resources related to Freemasonry, whether you are interested in the craft, a new member, or an avid researcher and writer, it is my hope you can find some good information here. In the interest of transparency, some of these are affiliate links, the proceeds of which go to the costs of maintaining this site. Freemasonry for Dummies is hands down, the best primer for anyone interested in joining Freemasonry, or just learning more about what we do. This text will in no way spoil your future interests in Masonry by over revealing, and will even make note of when to possibly skip a section. Brother Christopher Hodapp literally wrote the book on information about our fraternity for newcomers. Chris also runs an amazing blog by the same name. 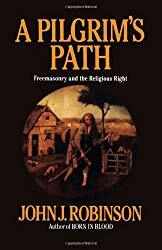 John Robison is a somewhat controversial Masonic author, owing to the volume of work that he wrote before he joined the craft. However, in this work, it is to his advantage as he puts forth unbiased research debunking many claims of anti-masonry and religious fundamentalists with regards to our society. A great read for anyone wanting to understand more about Freemasonry and it’s impact on the U.S. Brother Carl Claudy is one of the most important Masonic authors of the 20th century. He was made famous within the fraternity for his series of “short talk bulletins” which are still read in many lodges today. Claudy’s introductory books on the Masonic degrees are some of the most straightforward, yet still profound descriptions of the symbolism of our ceremonies. 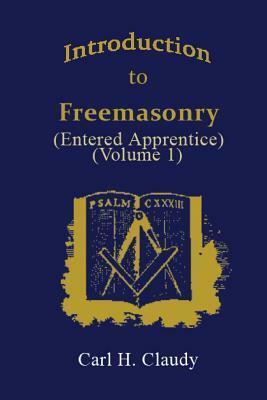 Volume 1 focuses on the degree of the Entered Apprentice, and is a great primer for any newly initiated brother.